Corey Cabral was born and raised on Long Island New York, studied business management and business law at Western New England University, Springfield Mass. before moving to Naples in 1975. A long time Naples resident, Mr. Cabral started his construction and real estate career working for his father’s company, Gulfside Building Corp., a Naples custom home and condominium building and development company. Corey Cabral received his Florida Real Estate License in 1978 and his State Certified General Contractors License in 1985. In 1986 he made the decision to leave the family business and started his own Building, Development and Real Estate companies, Cabral Concepts Inc., Wall Street Realty Inc. and Cabral Building and Construction Management Inc. with office locations at Phipps Plaza in Palm Beach and Naples Florida. Corey Cabral’s career covers a wide range in the Real Estate industry including Real Estate developing, building and sales of Luxury Custom Homes and multi unit projects, equestrian and polo facilities , high end restaurants for private clients, building commercial auto facilities for the Naples Germain Family, providing project management on large planned unit developments for Naples and West Palm Beach developers, performing project sales for multi unit and single family projects in Collier and Palm Beach counties., consulting for and acquisition of real estate investment properties in Palm Beach and Collier Counties for private investors and developers. His work has been featured in numerous industry magazines, news press articles, is the recipient of the Florida FAME award for excellence in Marketing and has been a TOP PRODUCER in the Naples Real Estate market ranking in the top 5% and is ranked #1 on the worldwide internet for the Naples luxury Real estate market. 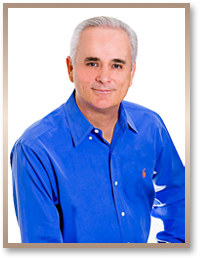 Mr. Cabral brings his 30+ years of experience in the building industries, real estate sales and investment consulting to a full time effort in representing the buyers and sellers of QUALITY SW Florida Real Estate. Mr. Cabral has also committed to giving back to the communities he lives and works in, having supported the efforts for fund raising and or the organization of events for Naples Hospice, Naples Conservancy, Naples Sailing Center (for the handicapped) Hope for Haiti, Naples Women’s Shelter, Habitat for Humanity, Palm Beach Red Cross and the Red Lodge MT Boys and Girls Club. An avid sportsman and adventurer Mr. Cabral enjoys competition sailing and long distance cruising, fly fishing, snow skiing, horseback riding, flying, scuba diving, RVing, international traveling and is an admirer of the arts and music.